Property listed by Stone Properties Group. 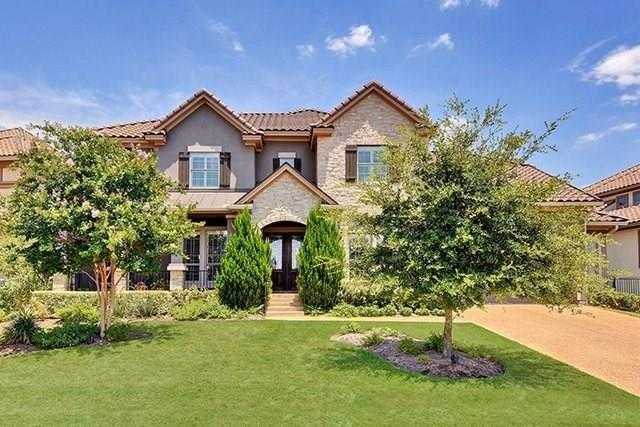 Beautiful 2-story featuring a large great room open to the gourmet kitchen, granite counter-tops, SS appliances, and opens to breakfast and family room areas. Master suite w/double vanities, separate tub and shower, walk-in closet. Great bedroom separation breakfast area, formal dining, separate study, built-in planning area. Large covered patio looking over lush lanscaped yard . Great location with easy access to Lake Travis HS. Three car garage with extra storage. Please, send me more information on this property: MLS# 7098620 – $649,000 – 15300 Spillman Ranch Loop, Bee Cave, TX 78738. I would like to schedule a private showing for this property: MLS# 7098620 – $649,000 – 15300 Spillman Ranch Loop, Bee Cave, TX 78738.